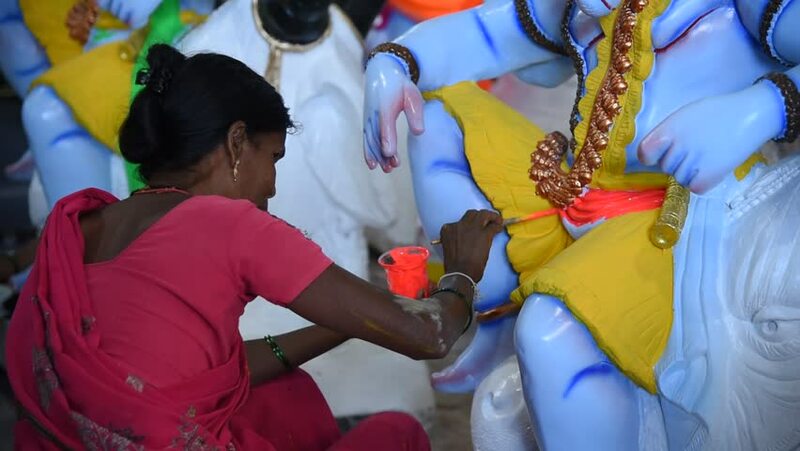 hd00:16AMRAVATI, MAHARASHTRA - SEPTEMBER 12, 2018: Artist gives finishing touches on an idol of the Hindu god Lord Ganesha at an artist's workshop for Ganesha festival. hd00:08Asian Muslim mom wearing headscarf helping kids reading books, and finishing homework in a children library corner. 4k00:21Little girl having a blood test, nurse is taking blood sample in medical surgery from a vein in the arm. Child is afraid and cover mouth by hand. hd00:15A female beautician applies sugar paste to the client's skin. Overall plan. hd00:44Woman at dentist clinic gets dental treatment to fill a cavity in a tooth. Dental restoration and composite material polymerization with UV light and laser. The doctor works with an assistant.